Beautiful Sherpa villages and Monastries around Everest Region. Introduction to Cultures and Lifestyles of Sherpas. Fantastic Sunset view over Mt. Everest from Kalapatthar. Incredible view of entire south face of Mt. Everest. Lifetime memorable visit to the Everest Base Camp. 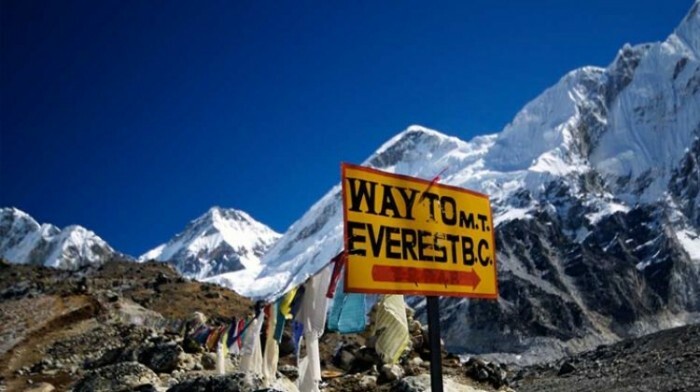 Everest Base Camp Trek is one of the most sought after adventure trek in the world. This has become the dream of thousands of avid trekkers from world over. Everest Base Camp Trek, is considered as one of the best Himalayan walking holiday, as it follows the route full of adventures. One can experience the joy of seeing the world’s highest peak very closely. Although the trekking route is very crowded, many trekking aspirants wants to experience the joy of seeing the Everest and several other gigantic peaks from the base of Mt. Everest. A close look to the Sherpa community, observing their traditions, culture and learning their spiritual connection with mountains is the attraction of the trip. The Mani walls, suspension bridges, prayer flags and monasteries in addition to the magnificent mountain come across the trail. Similarly it also includes the city’s oldest palace complex. Trekking from Lukla to the base camp, the trekkers can retrace the footsteps of Sir Edmund Hilary, Tenzing Norgay Sherpa and other countless pioneers of the mount Everest. You will have the chance to ascend Kala Patthar, reaching the height of 5,500m and witness awe-inspiring views of mount Everest. On the treck you have the chance to experience the immense beauty of the surrounding of Sagarmatha National Park which is a UNESCO Natural World Heritage Site and simultaneously providing breath-taking vistas of 4 of the 6 highest peak in the world- Mt. Lhotse, Mt. Makalu, and Cho Oyu. 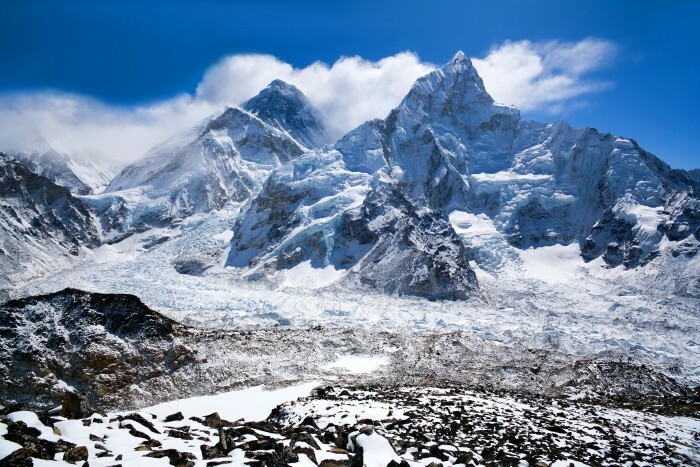 The Khumbu Gkacier and the Icefall are also some places that falls along the trail and is notably famous in this area. You can experience the short and beautiful flight to Lukla, full of adventure and thrills. Beside the hectic hustle and bustle of Kathmandu, this flight takes you to the place with fresh Himalayan environment that will provide a tranquil environment. After the arrival in Lukla, one can enjoy the green rolling hills and distant view of the mountains. Because of its moderate trip grading, you do not need to have previous trekking experience in order to take this trek route. Peoples of all demographics can complete this trek to Everest Base Camp. As Khumbus landscape consists both hills and flat-land, one have to do uphill and downhill trekking in relatively flat lands. This trek gives you the thriller and adventurous experience, so this has become at least once in lifetime dream of many trekkers. Everest National Park permits and TIMS (Trekkers Information Management System) permit. Domestic Airfare including airport departure tax in Kathmandu and Lukla Airport. Welcome to Kathmandu, the capital city of Nepal. We’ll be there in Tribhuwan International Airport with a warm greeting and the easy transfer to your hotel. In the afternoon, you will be invited for briefing about the each day program. And you will receive your Sagarmatha National Parks permits and TIMS. Pick up from hotel and Transferred to Tribhuwan International Airport. After the short flight (30-35 minutes) to Lukla, you will find the guides and porters awaiting for your arrival in the Tenzing-Hillary Airport and this is followed by breakfast at the lodge. Kick off your trek with an easy walk through Chaurikharka village and descent towards Dudhkoshi Ghat. Following the bank of Dudhkoshi river, You will reach Phakding, where we’ll be staying for the night to acclimatize. You can enjoy your free time in Phakding, a popular stopping point. You will have the breakfast in Phakding and gear up for the trek to Namche Bazaar, The largest Sherpa village in Nepal. Our trails starts first over the Dhudhkoshi river crossing the long suspension bridge, and goes through the settelement of Zapute, toktok, Benkar, Chumoa to monju leading us to the entrance of Sagarmatha National Park. There, after the short formality, the trail steeply to the long suspension bridges and continue the walk to the Hillary Bridge at the bottom of the hill. Then after, the trail leads you uphill to Namche Bazaar- a gate way to Mt. Everest. After the tough climb up to our resting place, you’ll be rewarded in Namche Bazaar with your first glimpse of Everest in its Majesty. Namche Bazaar is an essential acclimatization stop. Today you will spent resting and allow your body to acclimatize to the lofty altitude. There’s also an optional 2 hour hike to Everest view point. Otherwise spent the day exploring Naamche. 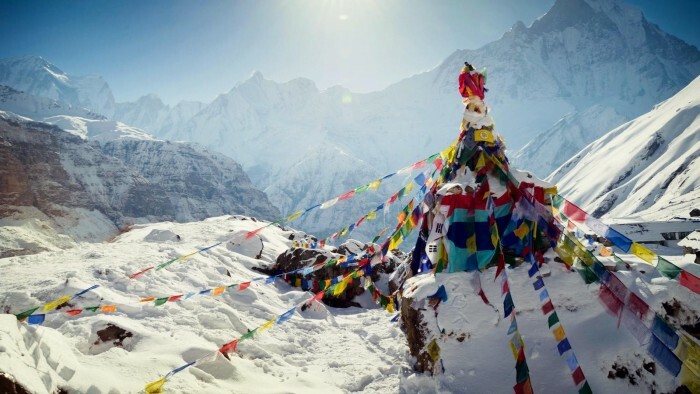 Visit the Sherpa Museum for an overview of the Sherpa Culture and history of mountaineering. On Saturday, Haat Bazaar is opened for trading and an intimate look at the local marketplace. This night is also spent in lodge in Naamche Bazar. After the breakfast in Namche Bazar, our journey strats towards the Everest Base Camp today! The trail leads short up towards the ridge and an easy way to Kyamjuma and then descends slightly to Dudkoshi. Observing the breathtaking views of Everest, Nuptse, Lhotse, Amadablam, Thamserkhu, and Kwangde you can also observe wildlife musk deer, multi colored pheasants and a herd of Himalayan Thar. Then, a steep ascent will bring you to the famous Tengboche monastery. The night will be spent in the loidge in Tengboche. Today, our trek kicks off with a walk through the beautiful rhododendron forest to Dengboche followed by a bridge over the ranging Imja Khola River. The trail goes through the valley’s highest year round settlement of Phangboche. The steepest climb from the Imja valley, the trail leads us to the Dingboche. The night is spent in the lodge in Dingboche. After breakfast, the trail starts with a climb to Dughla through the khumbu khola valley. We can observe memorial Stupas dedicated to the climbers and trekkers who lost their lives to Everest over the year. Than after we reach to the craggy mountain terrain to Lobuche, a small settlement with amazing views of Mt. Lobuche, Mt. Pumari and the Nuptse. As we have climbed to high altitude, coldness increases. The night is spent in Lobuche. Our big day kicks up with an initial, relatively easy trek from Lobuche to Gorakshep. The subsequent straight trail to EBC is harder, involving rocky dunes and moraine, formed accumulation of unconsolidated glacial debris. On the trail we'll approach the Khumbu glacier and icefall, located on the slopes of the Everest. Here you can experience unbelievable views of breathtaking beauty. As the afternoon sun starts to wane, we’ll head back to Gorakshep for rest and relaxation. It’s a day to take a hike to the Kala Patthar. So, we start early in the morning. After the walk of couple of hours, you will reach the famous view point of kala patthar which offers the best view of Mount Everest, Nuptse, Lhotse, Pumori and Ama Dablam. We spent some time here, taking snaps and enjoying the breathrtaking views. Than we return back to gorakshep, have breakfast and retrace to pherinche. We spent night in Pherinche. The walk from Pherinche to Namche is mainly downhills, so this will be easier and takes comparatively less hours. Well be in Namche Bazar in late afternoon and off to bed before our last day on mountain. After breakfast, we head toward the Hilary Suspension Bridge and pass through several local villages. Then we reach Monjo, After short formality at the checkpost of National Park, walk continues to phakding for launch. After lunch we head towards the Lukla following the trail reach on natural beauties and Sherpa communities. Observing these communities and beautiful forests we reach to lukla. On reaching Lukla you can spent time with your crew or opt for some alone time. Night is spent in Lodge in Lukla. Normally, flights are always in the morning. So, after having breakfast you will be guided to Airport by your guide. From there your journey both starts and ends. You will transferred to your hotels after landing. You will reunite in the evening for a farewell dinner at the best Nepalese Restaurant in the town. Its your last Day in Nepal! Grab some breakfast, then take your some last moments visiting the town and shopping. You will be waited on Tribhuwan International Airport and we’ll say our goodbyes and bid you farewell, armed with warm memories and gorgeous photos to dhow your loved ones.